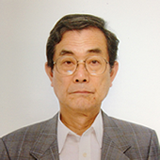 Former Executive Director of Nikken Sekkei Ltd. In October 2011, there were 5100 architects from 110 countries who are the member of “UNION INTERNATIONALE DES ARCHITECTES” at UIA2011 TOKYO having intense debate and discussion under the main theme of “beyond disasters, through solidarity, toward sustainability.” To satisfy the main theme, the architects and the related industries in Japan have to solve the problem by urgently becoming more internationalized. Even with neighboring countries of China and Korea, Japan has not yet overcome this problem of communication barrier. I sincerely hope that by utilizing the international architectural portal-site “AGLOBE,” who inherits the spirit of UIA2011 TOKYO, the interaction of people, knowledge, technologies, products, and information will be born and new standard and innovations will be created. In the wake of UIA2011TOKYO, Japan Institute of Architects(JIA) is promoting international activities for the future in cooperation with domestic relevant organizations since the wake of UIA2011TOKYO. The JIA has been interacting with American Institute of Architects (AIA), Korean Institute of Registered Architects (KIRA), Association of Siamese Architects (ASA) and other organizations. And in December 2011, started interacting with Architectural Society of China (ASC), as well as JIA’s own Kanto Koshinetsu Chapter began their friendship agreement with the Architectural Society of Shanghai China (ASSC) and aiming to have further substantial exchange with both of organizations. The keystones for internationalization of JIA can be picked as following three points. “Training the younger generation,” “development for the international markets,” and the “international social contributions.” The new international communication network by AGLOBE will help increase international cooperation and contribute to fulfill JIA’s goal for the international relations in great deal. The world population today reached 7 billion, yet our country right now, is about to approach a full-fledged declining population society. The “Architecture” that leads to the certain land and culture, now has taken off to the world wide to actively create new deployment. Last fall, many architects of different nationalities from all over the world gathered in Tokyo and showed many different real talks about real topics. However, the quality talks that they had could only be shared for a very limited time in a limited space. Aglobe, not limited in its platform, certainly give us all the people who have interest in architecture the information about things, forms, thoughts, and businesses in instant. As a group who inherit the spirit of UIA2011 TOKYO, I sincerely hope Aglobe will have a great success and become a major role of the architectural information world of this globe. 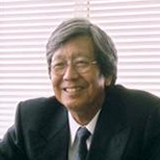 former Principal A/E/C SYSTEMS International, Inc.
George was the creator and co-founder of A/E/C SYSTEMS International, Inc.,which produced the largest CAD, GIS, and EDM (engineering document management) productivity events for design professionals in the world. Encompassing over a dozen major concurrent shows-within-a-show directed to all segments of the design/construction community, A/E/C SYSTEMS main event had grown to annually attract 25,000 attendees and exhibitors in more than 1,400 booths. A second fall event attracted 6,000 attendees to a 400 booth show. Additionally there were seven licensed events running internationally. Mr. Borkovich also co-published Computer Solutions magazine, subscribed to by some 30,000 design professionals. In 1997, the shows, licenses, and magazine were sold to Penton Media. Prior to starting his company, he served on the faculty at The Pennsylvania State University and later was employed by Coxe Associates, Inc., a leading management and marketing consulting firm to architects and engineers. 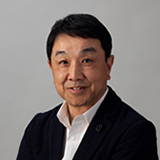 He has lectured at the request of various professional societies, including the American Institute of Architects, the American Consulting Engineers Council, the Construction Specifications Institute, the Architectural Institute of Japan, and the National Academy of Science. 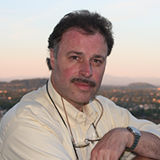 He has also written extensively or been quoted on tech matters in the top AEC and trade show publications.